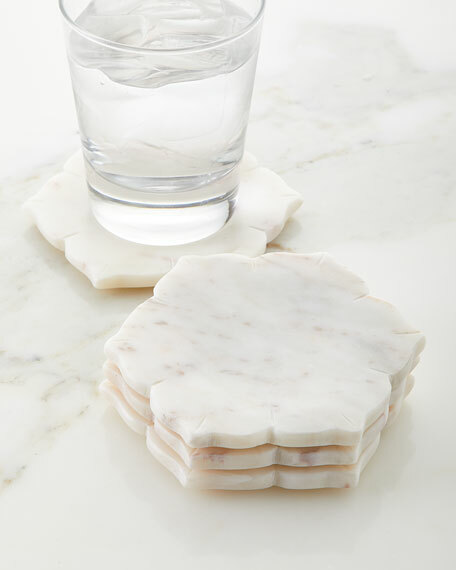 Inspired by the marble architecture of Mughal, India, these coasters are a fun play on some of the classic marble palaces. One by one, these coasters are hand-carved. Set of four marble coasters. For in-store inquiries, use sku #2352860.